When I was a teenager I was obsessed with reading Gothic romance. 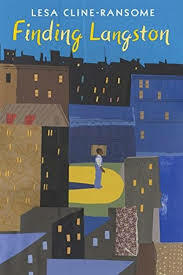 I devoured every Victoria Holt (Jean Plaidy and Philippa Carr were her other pen names), Phyllis Whitney, and Mary Stewart book I could get my hands on. I also read Anne Rice. And Dracula by Bram Stoker was my favorite classic that I read at the time. As an adult I read Susanna Kearsley and any other Gothic romance I can get my hands on. Up until now, none of them have come close to being as mysterious, creepy, haunting and romantic as those I read as a teenager. 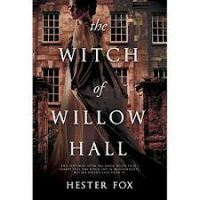 Hester Fox’s debut book, The Witch of Willow Hall is everything I love about Gothic romances. The year is 1821. Lydia Montrose and her family have recently moved to New Oldbury from Boston after a scandal caused by her older sister, Catherine. Their house, Willow Hall, is large and imposing at it sits on the hill. Lydia has a hard time sleeping in the house. Who is the woman in the garden she sees out the window late one night? Emeline, the youngest sister, is captivated with the pond and the young boy she meets there. And Catherine is on the hunt for a husband so that she can avoid more scandal. 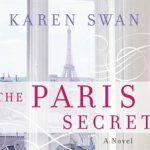 Her situation will soon no longer be a secret. Mr. Barret, their father’s business partner, has become an interest to both Lydia and Catherine. What was the scandal that caused them to move to New Oldbury? Why does Lydia feel uncomfortable in the house? Will Catherine find a husband? There is mystery, tragedy and romance. A great read for a stormy, cold afternoon by the fire (maybe not so much late at night). Do you need a good laugh? Do you sometimes feel like you are the only weird person around you? 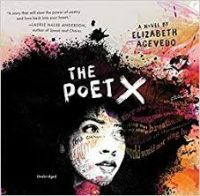 Do you struggle with mental illness and want to read about others that do as well? Then this book is for you. 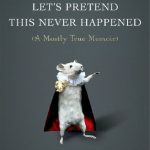 Jenny Lawson, AKA The Bloggess – www.thebloggess.com, writes about her childhood in rural Texas, growing up with a taxidermist father, and meeting her husband Victor, having her daughter, her struggles with anxiety and depression, and a squirrel hand puppet. It is often bizarre, hilarious and sad all at the same time. Sometimes you wonder if this could possibly be a true account and then you see the pictures. Yes, it did happen. And yes, it is very weird. And yes, you are completely fascinated and can’t stop reading about her life so now you are following her blog and Instagram so that you can see that you are not the only one that is tad bit crazy. If you are easily grossed out or easily offended by profanity, this is not the book for you. The audio is read by the author. I listened to the book, but then had to go back and look at the book to see the pictures she includes.